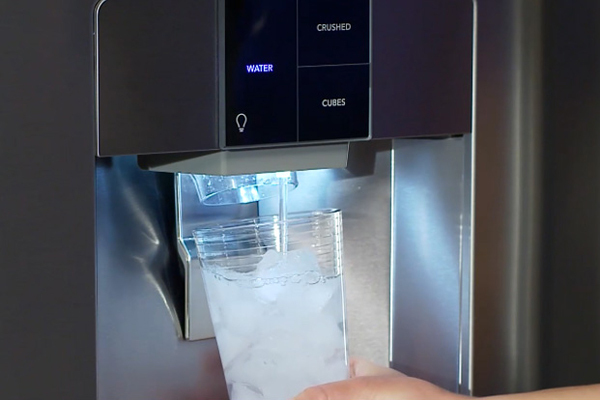 Refrigerator water filters are designed for refrigerators with a water dispenser and ice maker to remove contaminants and other particulates from the water that flows through them. We’d all love to think that our local tap water is 100% safe, but there are many things water treatment plants miss and others that might be picked up along the way to our homes. 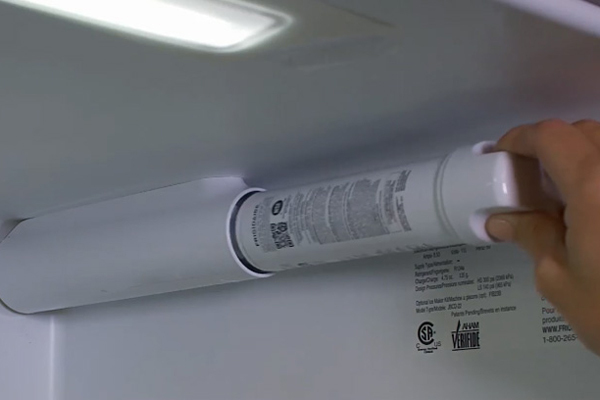 So, a refrigerator water filter is a must-have. 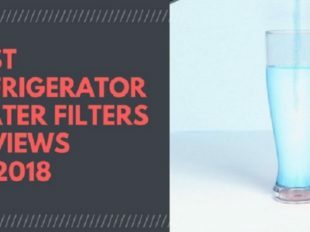 Let’s see how to install a Frigidaire EPTWFU01 PureSource Ultra II Filter and how to choose a qualified one with an affordable price. 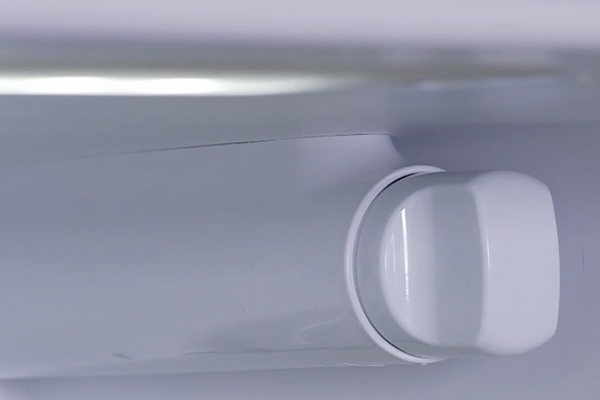 What can the Frigidaire EPTWFU01 do? 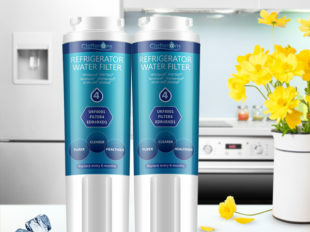 Frigidaire EPTWFU01 water filters can not only remove unpleasant tastes and odors, but they also remove bacteria, parasites, heavy metals such as lead and other various contaminants which can cause illness. Water filters are especially important if you have kids. Children are more susceptible to contracting bacterial or viral illnesses and suffering from nitrate/nitrite poisoning; water filters will reduce those chances. 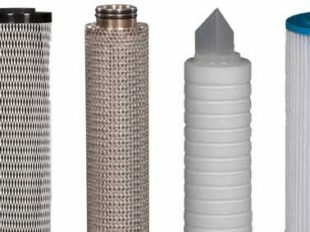 With multi-layer activated carbon inside each filter, pharmaceuticals, waterborne parasites, odor, chlorine taste, dirt, rust, turbidity, heavy metal and harmful sediments can all be reduced or totally removed. 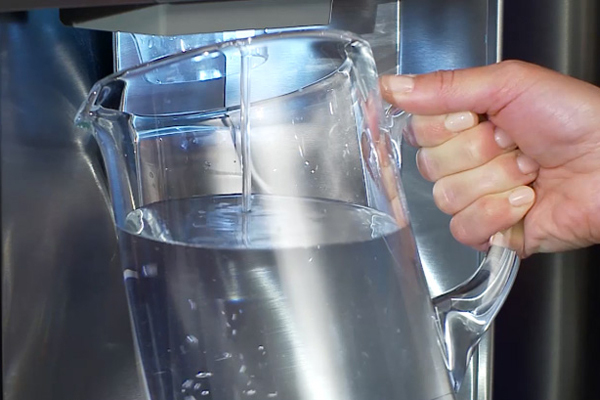 Drinking refrigerator filtered water will help you and your families stay healthy and hydrated not to mention it’s more environmentally friendly than buying bottled water. 1. Remove the current filter and throw it away. Then remove the new filter from its packaging. 3. Push the filter firmly and turn 90° to the right until it snaps into place. The grip should now be oriented vertically. 4. 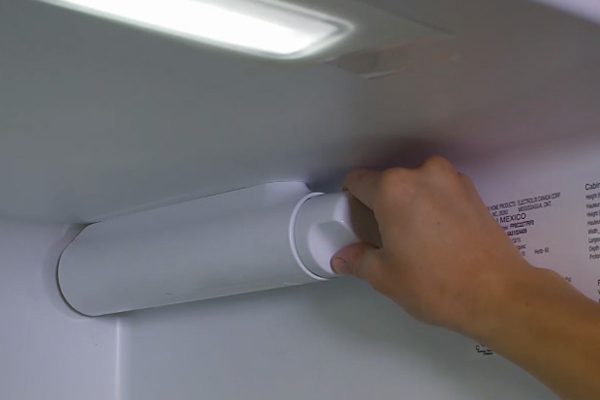 Run water through the dispenser for approximately 3 minutes or one and a half gallons to flush the filter before use. 5. 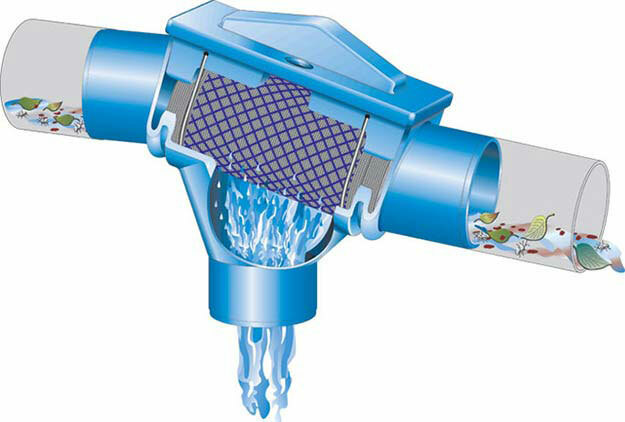 We suggest changing the filter every 6 months to ensure cleaner and better tasting water and ice. 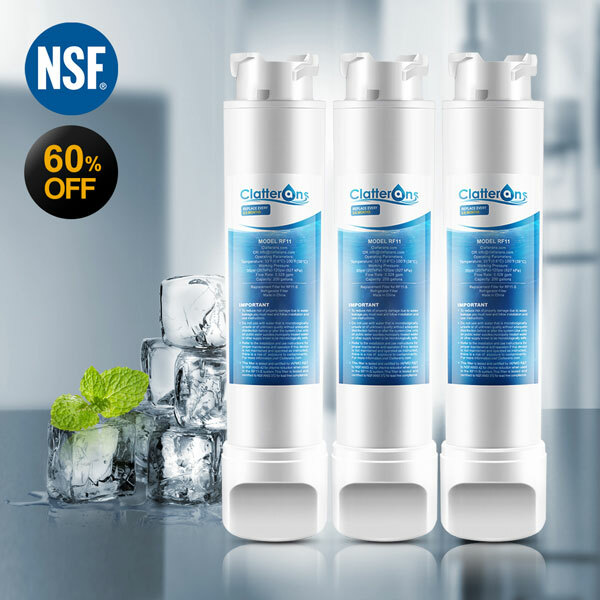 Both Clatterans and Frigidaire EPTWFU01 filters are certified by NSF, so you don’t have to worry much about their quality. However, you need to pay attention to other product details like warranty, price, flow rate and operating pressure, etc. 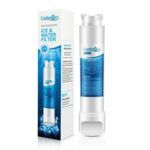 Nowadays, counterfeit water filters have made their way into Amazon and other marketplaces all over the country. It is important to purchase them from a valid dealer. 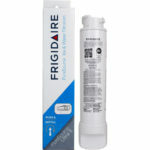 Clatterans fridge water filters for Frigidaire are the lowest priced among the market as well as being top quality. You can rest assured that you’re going to get a good deal from Clatterans official website. 1 What can the Frigidaire EPTWFU01 do?